The San Francisco Bay Conservation and Development Commission (BCDC) recently took a step toward changing many Richmond commuters’ lives, whether their mode of transportation runs on four wheels or two. On September 15, the BCDC voted to approve a four-year pilot project to build a bidirectional lane for cyclists and pedestrians on the Richmond–San Rafael Bridge. The lane, approximately 10 feet wide and situated on the bridge’s upper level, would be open 24 hours. The bridge project also includes an additional eastbound traffic lane to accommodate rush-hour traffic. The traffic lane would have a movable barrier and be open between 3 p.m. and 7 p.m. Monday through Friday, pending final approval from the California Department of Transportation (Caltrans). 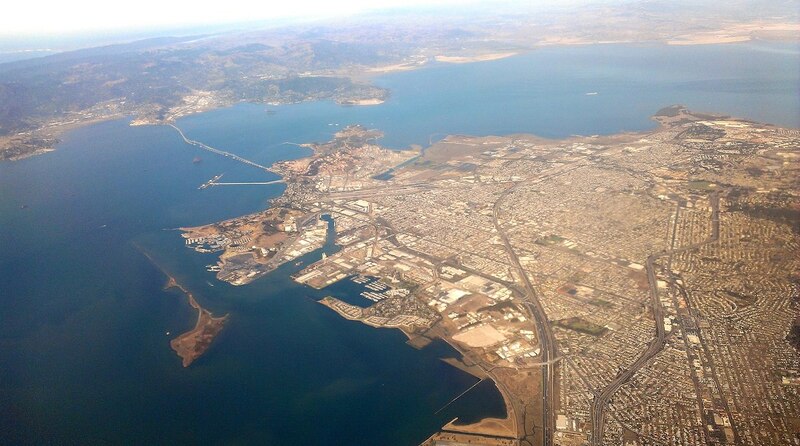 In February 2015, the Bay Area Toll Authority (BATA) voted to approve the $74 million project. The BCDC, which is responsible for permitting proposals that extend 100 feet into the bay, was next in line to greenlight the development. Now it falls to Caltrans and the City of Richmond to issue encroachment permits, which allow for the use of public property. District I Supervisor John M. Gioia, a member of the BCDC who voted in favor of the project, said that that the bridge development has two main objectives: to benefit drivers by reducing congestion during peak hours and to benefit cyclists and pedestrians by opening access to the bridge. Gioia also noted that easing congestion would help reduce air pollution, since stalled traffic generates higher emissions. According to a 2009 study by Matthew Barth and Kanok Boriboonsomsin at the University of California Riverside Center of Environmental Research and Technology, idle traffic does yield more carbon dioxide emissions, though it is unclear exactly how much. Bike East Bay, a bicycle advocacy coalition based in Oakland, has advocated for a bike lane on the San Rafael-Richmond Bridge since the eighties. “It’s been a long time coming,” said Bike East Bay Executive Director Renee Rivera. “I think a lot of people are going to be really excited to be able to use [Point Molate] as a recreational facility, and I think we’ll see a lot of people doing the loop into San Francisco,” Rivera said. That loop, however, won’t exist until the bicycle and pedestrian path along the San Francisco Bay Bridge is completed. A third of the path along the bridge’s eastern span is open; the remainder of the path is slated to open “within a week or two,” according to Leah Robinson-Leach, the San Francisco-Oakland Bay Bridge spokesperson. The idea of a contiguous, bikeable loop through Oakland, Berkeley, Richmond and down through San Francisco has some bike enthusiasts excited. Chris Cassidy, Communications Director for the San Francisco Bicycle Coalition, said that the bike paths are not only iconic, but that to connect the bay by bicycle reflects Bay Area residents’ core values. Cassidy also pointed to another benefit: reduced strain on overloaded transportation providers. Construction on the Richmond-San Rafael Bridge is expected to start this fall, with the traffic lane complete in one year and the bike and pedestrian lane complete in 18 months. At the end of the four-year pilot project, Caltrans will report to BCDC on the success of the trial.